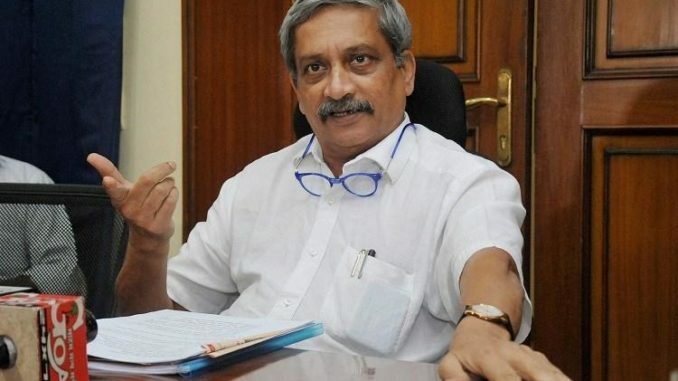 Hundreds of protesters stormed outside Goa Chief Minister Manohar Parrikar’s residence in Goa. They demanded Manohar Parrikar to step down and demanded for a full time Chief Minister. Mr. Parrikar is suffering from Pancreatic cancer and was in and out of hospitals in the last nine months. In his absence the administration has shome what come to a halt. Among plenty of citizen group activists there were Congress politicians who took part in the march. Other opposition parties like NCP and Shiv Sena also extended support. The people marched holding banner ‘People’s March For Restoration of Governance’. The people said they were going to check on Mr. Parrikar’s health and given him a deadline of 48 hrs to quit. Manohar Parrikar has been recuperating at his private residence since mid October. During the period while J. Jayalalithaa was hospitalised in Apollo, Chennai. Her close aid O. Panneerselvam was handed over duties of the Chief Minister. While Jayalalitha was still the Chief Minister. The administration back then was not completely stalled. Not a while back the Finance Minister Arun Jaitley had undergone a Kidney transplant. Arun Jaitley had let go of his position as Finance Minister. After a successful recovery he eventually returned to assume office as FM after three months. Some similar formula could be applied in Goa as well. However I assume the BJP don’t want to have a change in Chief Minister due to their limited numbers and the multi-party coalition government. Taking a few days off from work is okay, but in this case it has been months. The BJP definitely have not been able to identify or trust anyone else in Goa apart from Parrikar.